What is an Alexa Preferred Speaker? A preferred speaker is a speaker in an Alexa Smart Home Device Group that is the default speaker for music. Music will automatically play through your preferred speaker. For example, you can have an Echo Dot and a Sonos Play 1 speaker in a device group. All your music will automatically play through the better quality Sonos Play 1 speaker. No additional commands needed. Why Should I Setup a Preferred Speaker? What Speakers Work as an Alexa Preferred Speaker? What else can I do with my Echo Speaker? Alexa Preferred Speakers are super convenient since the don’t require any additional commands for the music to play through the preferred speaker. When you say, “Alexa...play music”, the music will automatically play on your preferred speaker. When you say, “Alexa...what is the weather forecast”, the response will still be spoken through the Echo device that you asked. Any commands related to your music will automatically be passed on to the preferred speaker that you create. This includes volume controls (volume up, set volume to 6, etc.) and music commands (next, pause, play rock music, etc.). Check out these Alexa commands for more music control options. Alexa Preferred Speakers can be an individual speaker or a speaker group. 1. Amazon Echo Devices - You can set any Echo device as the preferred speaker. This is a good option if you have an Echo and an Echo Dot close together. You could have the music always play from your Echo even if the music command was made to the Echo Dot. 2. Sonos - You can use any connected Sonos speaker as the preferred speaker in your smart home device group. Your Sonos speaker does not have to have Alexa built into the device. This allows you to use your Sonos speakers without adding any additional commands. 3. Bose SoundTouch - The Bose SoundTouch speakers can also be used as the preferred speaker for you Echo device. This is a popular choice for fans of Bose. The second option is to use an Alexa speaker group as the preferred speaker. The Alexa app has functionality that allows you to group and name multiple speakers together. For example, you can group your Kitchen and Living Room Echo devices into a single group called “downstairs”. When you use the “downstairs” speaker group as your preferred speaker, then all devices in the group will automatically play when you ask Alexa to play music. Open the smart home “Devices” section in the bottom right corner of the Amazon Alexa app. First, click the plus (+) sign in the top right corner in the Alexa smart home devices tab. Next, select the “Add Group” option in the menu. The Preferred Speaker is part of the device group and is NOT in the multi-room music option. Select a predefined device group name or create your own custom name. Then click “next”. Select the Alexa Enabled Device to use is this device group. This is the device you will speak to when making commands. You can also add other smart lights and switches to this group if desired. The Alexa preferred speaker option is located at the bottom of the device group. Select the plus (+) sign to setup a preferred speaker in your group. 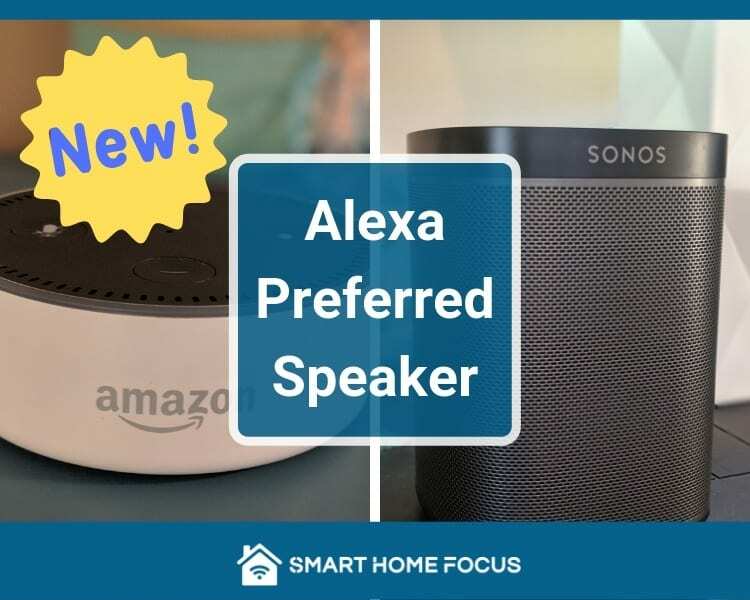 A list of options will be shown including the following: 1) Other Echo Devices, 2) premium supported speakers (Sonos, Bose SoundTouch) and 3) Echo Multi-Room Music groups. Select one or more devices that you want to play music on when you ask Alexa to play music in this room. When you have finished selecting the preferred speakers then click save. The preferred speaker is now set up in your device group. Just click “edit” if you want to change or remove the preferred speaker. I use Sonos speakers in my home as the Alexa preferred speaker. The Sonos Play 1 speaker (without Alexa) is the perfect speaker to pair with your Echo Dot. You can’t beat the combination of sound quality and smart home functionality found in the Sonos speakers. For clarity, I do not use the Sonos 1 which has Alexa built into the device. It isn’t necessary since the devices seamlessly integrate with the Sonos Alexa skill and the preferred speaker option. The Sonos Play 1 is a great speaker for your smart home and it is perfect for an Alexa preferred speaker. Great sound, great quality and a system you can grow over time. Create Light Groups - Control groups of lights or light bulbs with one command. “Turn on Lights” - Just say, “Alexa, turn on lights” and the lights you want will turn on. P.S. Please leave a comment below to ask a question, help someone else or share your experiences. Thanks! Husband, father and Smart Home enthusiast. I look forward to discussing Smart Home products and projects with you. 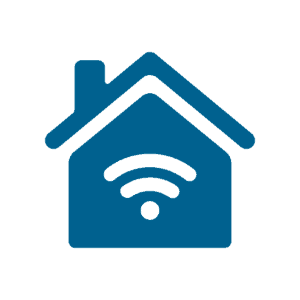 I have over 100 connected devices in my home, and I'm excited to share what I have learned to help you build a Smart Home that works! Stay updated on new smart home projects and products. Smart Home Focus is a participant in the Amazon Services LLC Associates Program, an affiliate advertising program designed to provide a means for sites to earn advertising fees by advertising and linking to Amazon.com. &COPY 2019 Smart Home Focus. All rights reserved.